Photos from Crooked Arrows orchestra session. Brian has completed his work on scoring the film Crooked Arrows. The film will have a limited theatrical release on May 18th in some specific lacrosse focused markets and then on June 1st...the film will be released in hundreds of theaters nationwide. Brian conducted his score, performed by the Hollywood Studio Symphony orchestra and it was recored at The Bridge Recording in Glendale, CA. 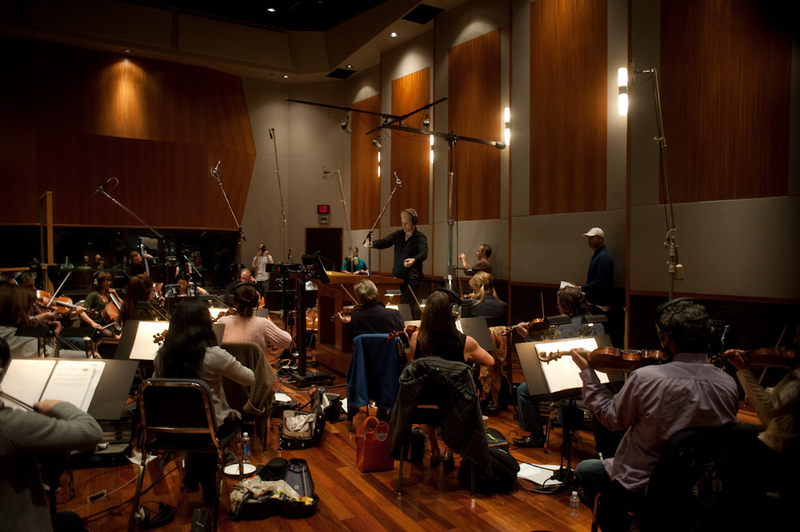 Photos from the orchestra session are below.